I’m certainly no stranger to baking with peanut butter. It’s one of my favorite ingredients and flavors. If you’ve been following my baking adventures for a while, you are probably well aware of my affinity for it. White chocolate, on the other hand, is not really on my list of favorites. I like it well enough, but I don’t find myself clamoring to bake with it. Despite that, I find that it pairs well with so many other ingredients that I use it quite a bit to complement other flavors. Here, that idea applies with white chocolate and peanut butter. The two flavors work wonderfully together. Peanut butter and chocolate have long been a favorite pair. But the extra sweetness of white chocolate paired with peanut butter is pretty magical, too. 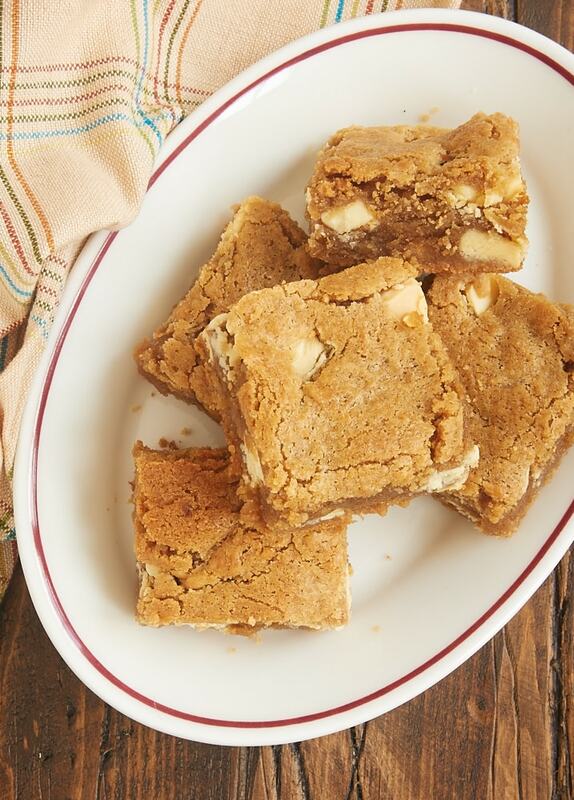 Besides the primary flavor pairing, one of my favorite things about these blondies is the hint of cinnamon. 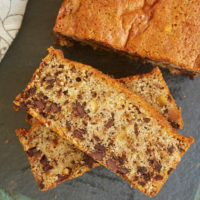 It adds a delightful flavor twist that really makes these bars irresistible. If you aren’t a cinnamon fan, you can simply omit it from the recipe. 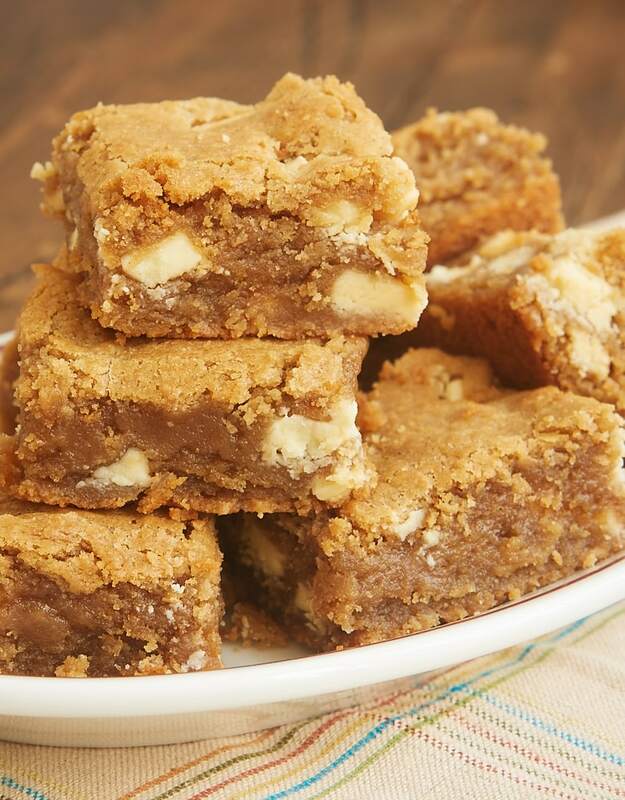 But if you do like it or are even on the fence about adding it to these blondies, I encourage you to try it. It really amps up the flavor. 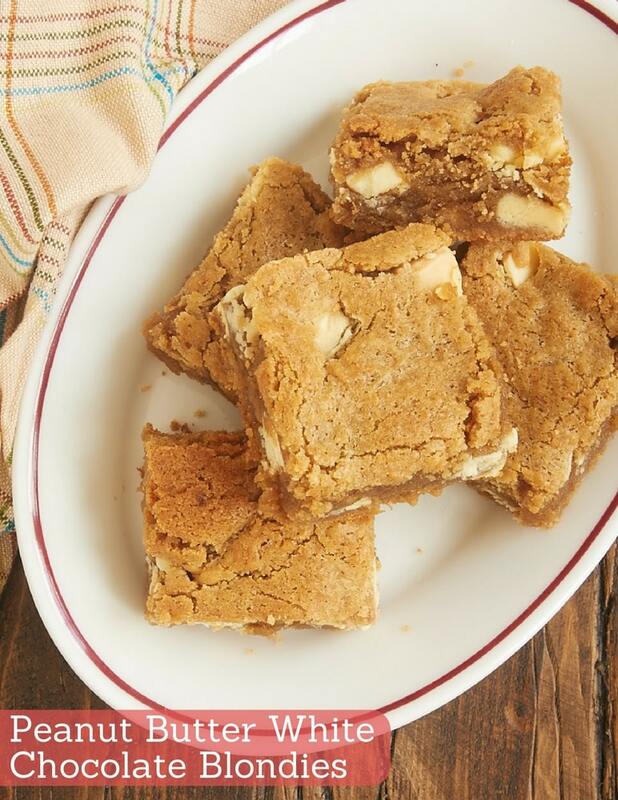 These blondies have that fantastic crackly outside and soft, chewy inside thing going on. To attain that wonderful texture, be sure not to overbake them. You want to see a few crumbs when you do the toothpick test. They’ll continue baking a bit in the hot pan once they’re removed from the oven. 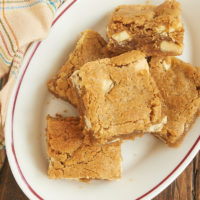 As much as I love peanut butter and milk or dark chocolate, these Peanut Butter White Chocolate Blondies are a nice little twist on that classic pairing. They’re a bit sweeter but just as delicious! 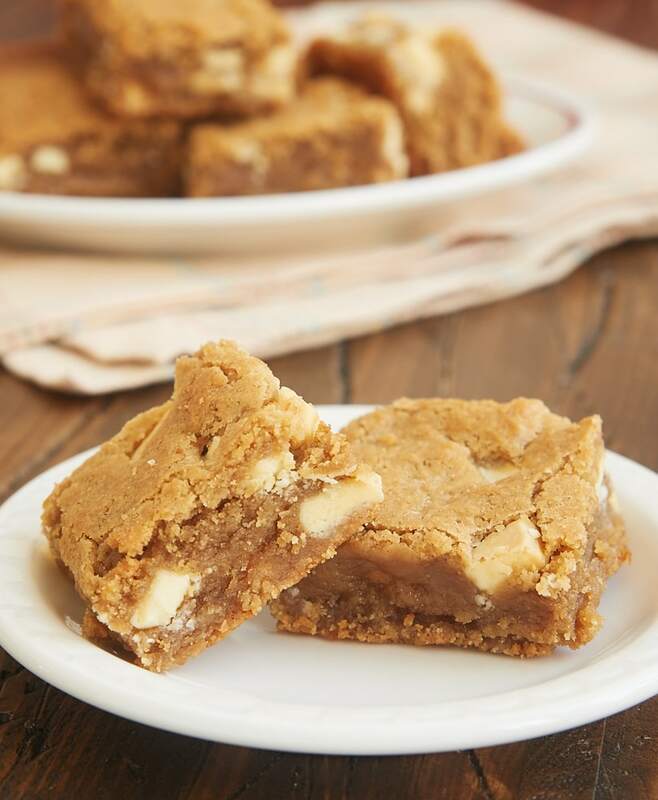 Peanut Butter White Chocolate Blondies are so soft, nutty, and delicious. A hint of cinnamon makes them irresistible! Using an electric mixer on medium speed or mixing by hand, combine the butter, brown sugar, and peanut butter. Add the eggs, one at a time, mixing well after each addition. Mix in the vanilla. If using a mixer, reduce the speed to low. Gradually add the flour mixture, mixing just until combine. Stir in the white chocolate chips. Spread the batter evenly in the prepared pan. Bake 35 to 40 minutes, or until a pick inserted into the center comes out with a few moist crumbs attached. Interesting combo. I’m the same with both ingredients but agree white chocolate does pair well with things. I will have to try this one–definitely with the cinnamon!! Great idea! Thanks! If I wanted to make a 9×13 pan of these would I double the recipe? Thanks. Hi, Lawanda. Yes, double the recipe for a 9″x 13″ pan. Currently in my oven. I saw these and wanted to make ASAP! As I was going in my pantry for the peanut butter and I spied a jar of Trader Joes’s cookie butter. It was near expiration so I swapped it out for the peanut butter. Can’t wait to try these! We loved your chocolate/Oreo brownies but I forgot to leave you a comment on those. LOVED! I like the cookie butter idea! Let me know how it worked. 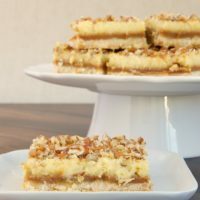 White chocolate is generally a little too sweet for me, but I can see the appeal when it’s paired with salty peanut butter…the perfect balance! 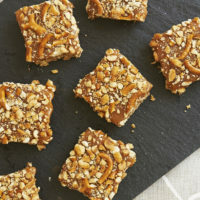 I made these over the weekend, and at the last minute decided to throw in a handful of honey-roasted peanuts. They were fabulous! Next time I will double the recipe for a 9×13 pan, because these were eaten up by the second day. Thanks for the recipe. So glad they were a hit, Laura! I like your addition of honey roasted peanuts! THESE ARE AMAZING!!!! 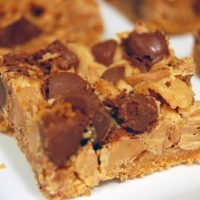 Found your recipe through pinterest as I was looking for a blondie recipe to make my hubby (he’s deployed). 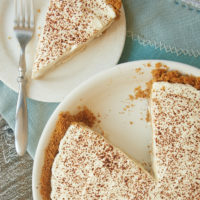 I had a piece and, oh man, the cinnamon added such a good flavor to them! I had half white chocolate half semi-sweet chocolate chips since I didn’t have enough of the white chocolate. Thank you for the great recipe! I’m glad you liked them, Shasta! Thinking of making these? Please don’t hesitate. Indescribable. I wrote Jennifer on December 21st, she should be ashamed. Four days to Christmas and these are “Sinfully Delicious”! I’ve made three batches and only eaten three because of my sister and neighborhood demand. Also, a huge thank you to Jennifer for responding to a question regarding dark glass dishes, and doing so on 12/21. Who would have thought! I needed, but did not expect a response until after January 1st. Thank you, Jennifer. I ran to Bed Bath & Beyond, buying two sizes of Wilton’s pans which, like the recipe, are perfect. I sincerely wish you and your loved ones a most blessed 2018. 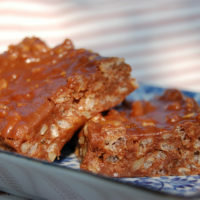 My sister is hoping for new recipes with caramel and I’ve only begun making different ones you have. I’m so glad the change of pan worked for you. Happy new year!